This recipe was suggested by my friend Katie. On Saturday another friend of ours had a garden party for her hen do and I decided to attempt this challenge at the weekend so I could take the truffles to be enjoyed by all the girls. I was staying with Katie and she got very excited when I said I was making them to take with us. Considering I was taking the truffles to a hen do, I thought I would make them a little bit special by adding some alcohol 🙂 So this is my attempt at Prosecco truffles and Disaronno truffles. 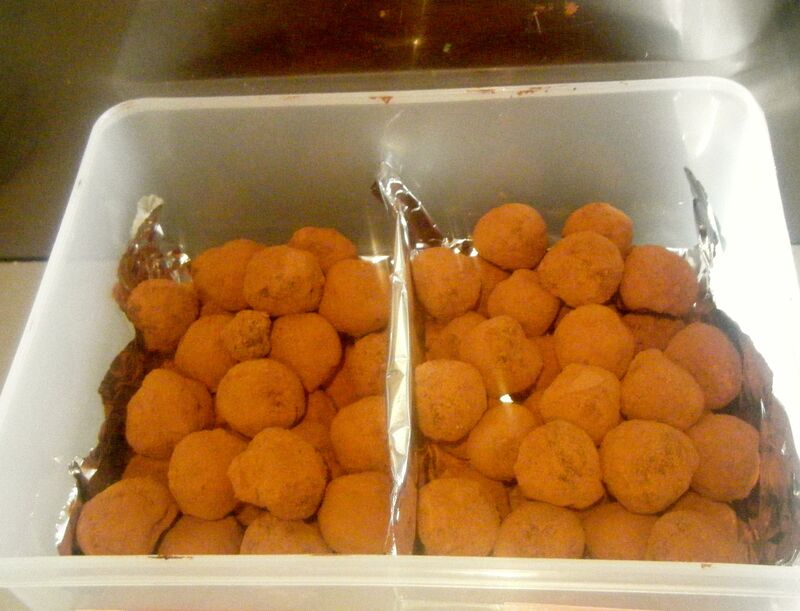 I did a little bit of internet searching and found a lovely looking Prosecco truffle recipe by Miss Messy (aka Holly). I think these truffles are adorable with the addition of the little gold hearts. I even bought some edible glitter so I could do the same but I sadly ran out of time – I’ll have to try this next time. 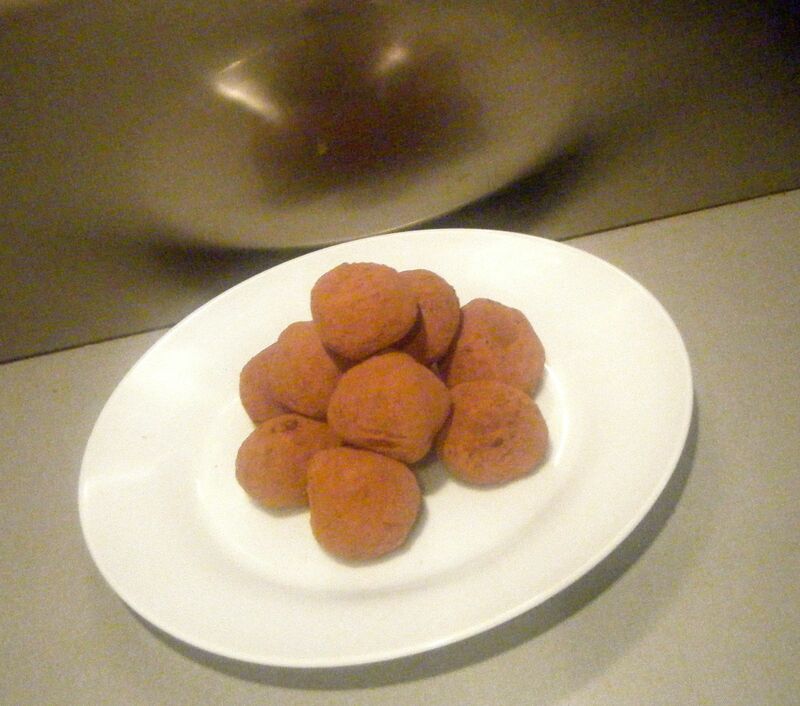 I adapted Miss Messy’s recipe to make my Disaronno truffles. The method is exactly the same but it’s just the ingredients which differ slightly. 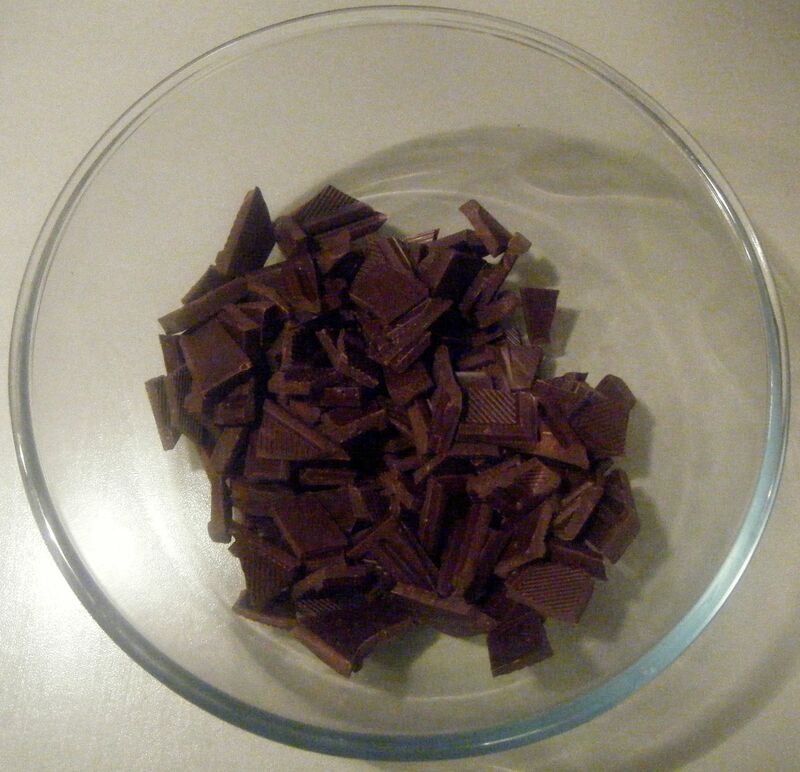 I started by making the Prosecco truffles and broke the chocolate into small pieces to put into a large bowl. 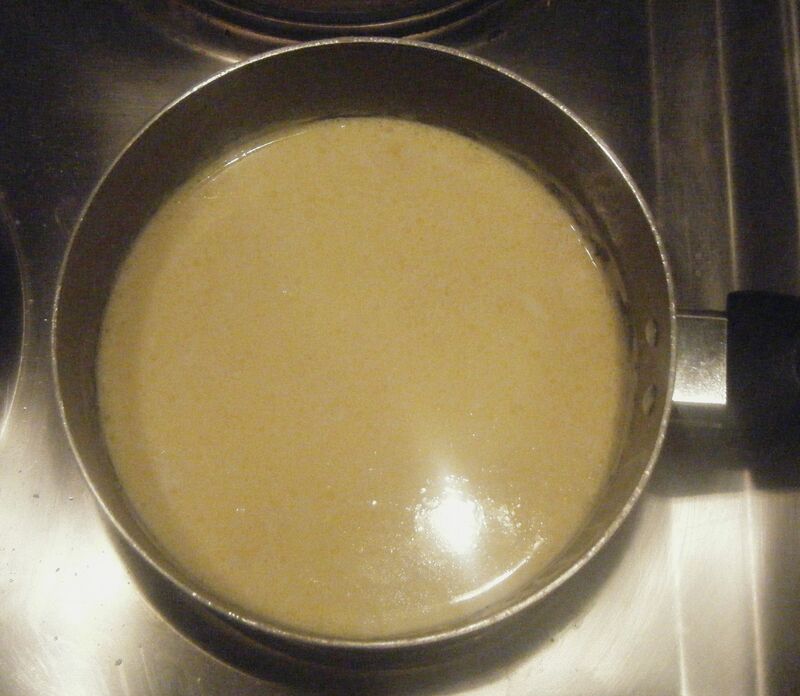 I put the butter into my saucepan, poured over the cream and put it on a medium heat. I kept a close eye on this and kept stirring until the butter had melted and the cream was nice and hot. It was just about starting to bubble when I decided it was hot enough. 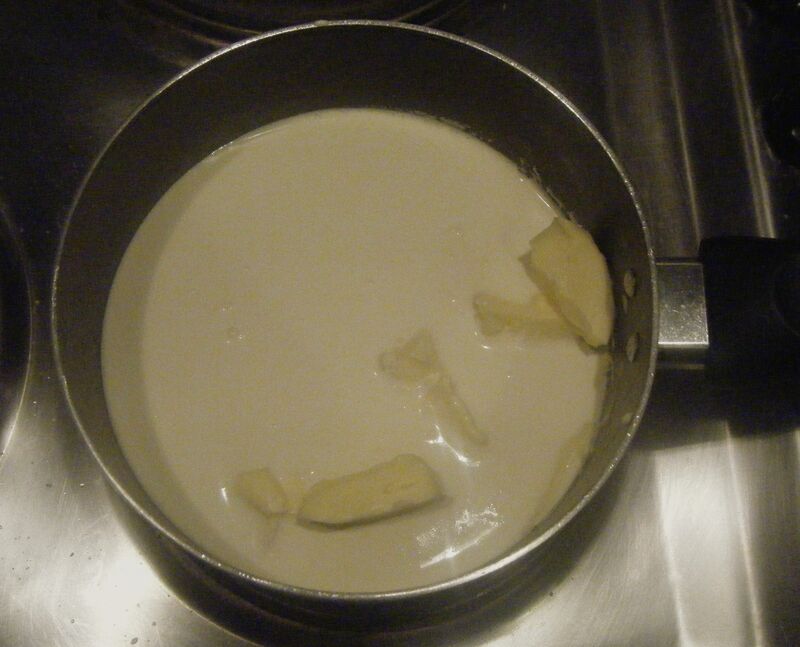 Practical tip: to help the butter melt quickly so that your cream doesn’t burn, let it sit at room temperature before starting and chop it into small pieces. 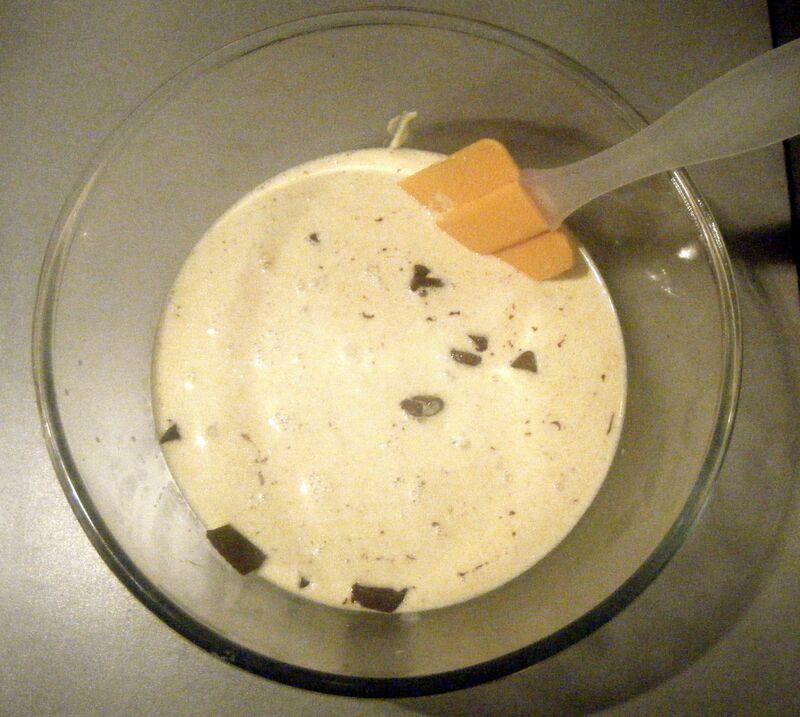 Once the cream was ready, I poured it over the chocolate and let it sit for a minute before I gave it a good stir. At first, the mix was a bit milky looking but after a bit of patience and continued stirring, it turned a beautifully rich chocolate colour. I mixed in the Prosecco and poured the ganache into a clean dish to cool. I covered the dish with cling film and put it in the fridge. 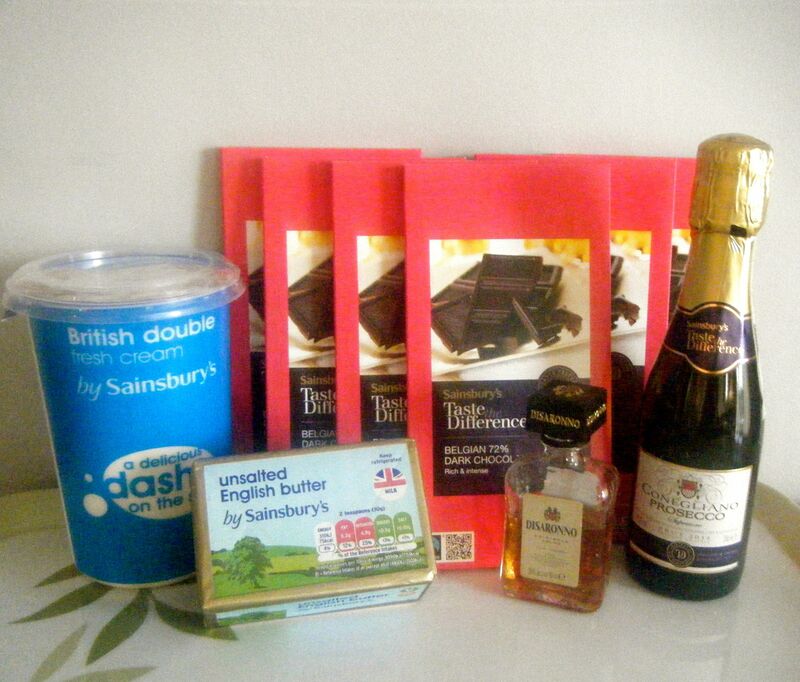 I then got started on the Disaronno truffles and I repeated all of the above steps. In hindsight, I could have simply made all the ganache together and separated it into two bowls before adding the alcohol…but I didn’t do this and I’m not sure why! I’m going to put it down to having a bit of a blonde moment. With both my ganache mixtures chilling in the fridge, I realised it was already 11pm! The recipe says to leave the ganache for at least 4 hours and considering the time, I decided to just leave it overnight. The next morning, I took the dishes out of the fridge to check them and the mixture was really hard! I panicked a little and decided to let them sit at room temperature for about half hour before I started shaping the truffles. It turns out I didn’t need to do this and it actually just made rolling the truffles a bit more difficult as the ganache was melting. So I popped the dishes back in the fridge to firm up again. 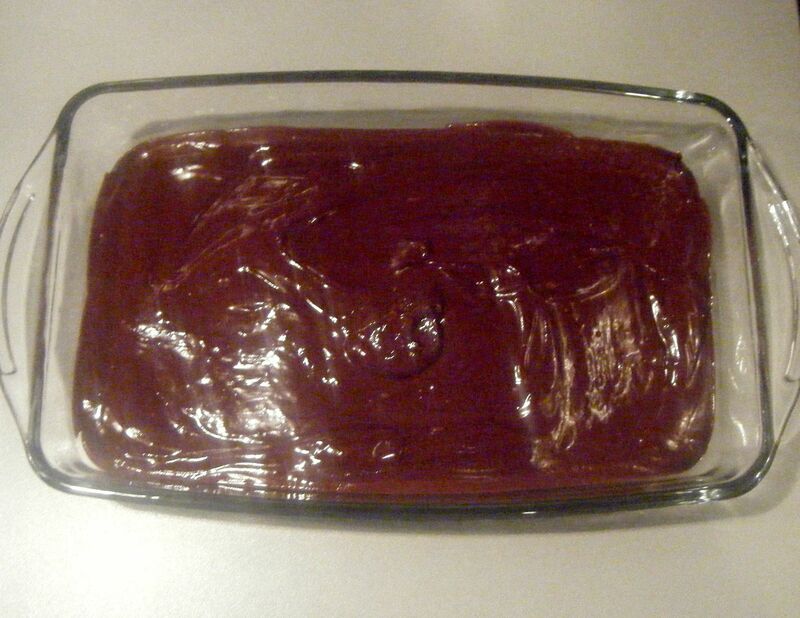 With the ganache re-chilled, I got a shallow bowl and poured in some cocoa powder. I took one of the dishes out of the fridge and started forming my truffle balls. 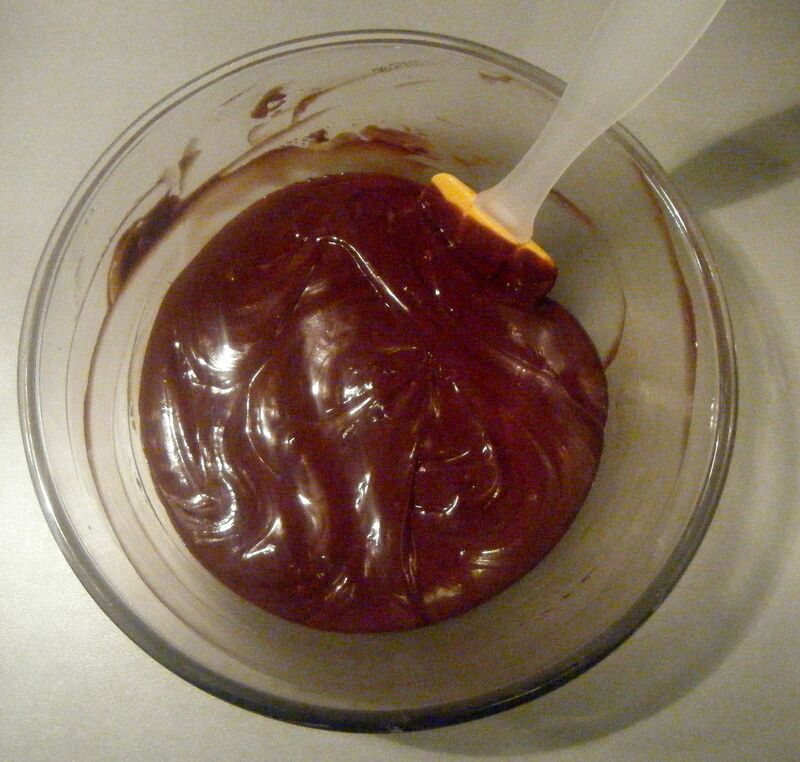 I coated my hands in the cocoa powder and used a measuring spoon to scoop out a small portion of ganache. I rolled the ganache in my hands to achieve a rough ball shape (as much as tried, they weren’t very neat!) 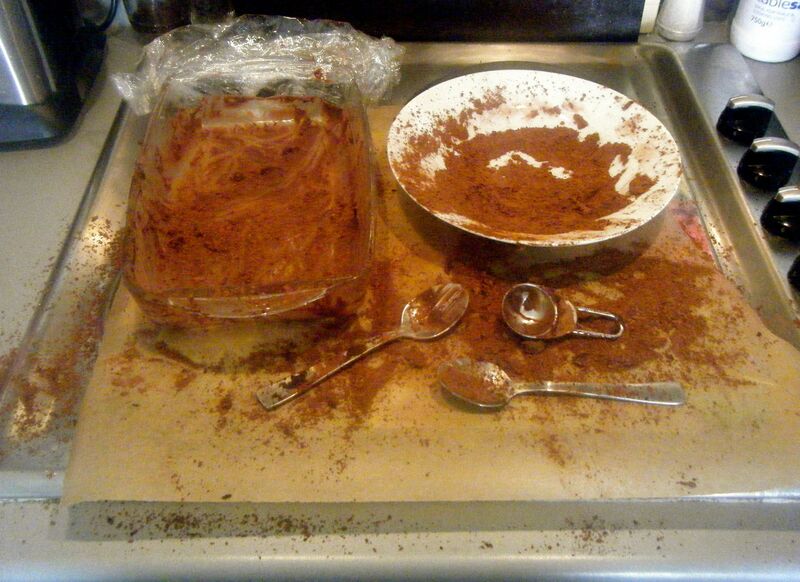 and then rolled the ball in the cocoa powder before popping it to one side and getting on with the rest. Once all the truffles were rolled and coated, I put them in the fridge to keep chilled until I left for the garden party. Whilst all the girls enjoyed these little chocolate treats, some of them weren’t a massive fan of the cocoa coating. 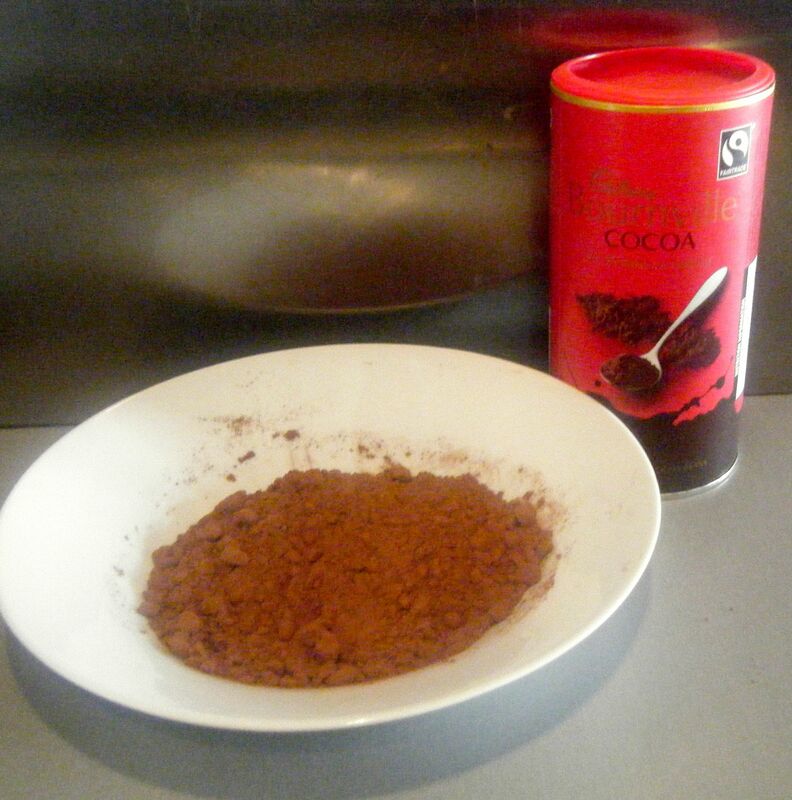 Another recipe I found used a mixture of icing sugar and cocoa powder and I think this would perhaps be a bit lighter. I’m going to give this a try next time and I’ll let you know how I get on. Coming up next week, Challenge No. 24 – scotch eggs. This entry was posted in Challenge 52 and tagged Alcohol, Baking, Candy, Challenge52, Chocolate, Cream, Food by MyGastroAdventure. Bookmark the permalink.